Personal injury lawsuits usually involve claims of negligence. Understanding a particular jurisdiction’s approach to negligence is key to understanding a personal injury lawsuit. Further, damages in personal injury cases are based on either comparative negligence or contributory negligence. The difference can be startling. In personal injury cases, negligence is a primary basis for claims. Negligence has several elements. First, the defendant owes a duty to the claimant, or plaintiff. Second, the defendant must have breached that duty. Third, the plaintiff must have suffered an injury. And fourth, the defendant’s breach must be the cause of the plaintiff’s injury. For example, in a personal injury case involving a car accident, the defendant typically caused the accident, either intentionally or unintentionally. The driver that caused the accident owes a duty to all other drivers on the road. The driver caused the accident, breaching the duty. The plaintiff sustained an injury, the basis for a claim of damages. Finally, the other driver’s failure to drive reasonably caused the accident, resulting in the plaintiff’s injury. A majority of jurisdictions in the United States apply the concept of comparative negligence when awarding damages. An award of damages is reduced in proportion to the plaintiff’s percentage of fault. Imagine someone (called “the plaintiff” in lawsuits) is hit by a car and sustains injury. However, the plaintiff was not using the crosswalk. Imagine the jury finds her 25 percent at fault for the accident, because she wasn’t in the crosswalk. In that case, she recovers 75 percent of her damages from the defendant. If the plaintiff is 65 percent at fault for an accident, she recovers only 35 of their damages from the defendant. In the example above, there are only two parties. However, in some cases, there are more than two parties. For example, imagine one driver is texting and driving. They don’t realize traffic is stopped and they crash into the car in front of them. Imagine further the driver of the car crashed into has taken their foot off the brake and they reach into the back seat to recover their dropped cell phone. This car then hits a pedestrian. The injured plaintiff pedestrian can sue both parties, and the jury will determine percentages of fault (or the absence of fault) for each party involved. In a contributory negligence jurisdiction, a person is barred from recovering damages when any fault is attributed to the plaintiff. For example, if the plaintiff is 5 percent responsible for an accident, he or she collects nothing in a personal injury case. Washington, D.C. is one of the few remaining jurisdictions that applies contributory negligence in personal injury cases. As a result, any finding of negligence on the part of the plaintiff means the plaintiff will be unable to collect any damages in a personal injury case. Because Washington, D.C. is a contributory negligence jurisdiction, it is extremely important that an injured party hire a qualified, experienced personal injury attorney. Insurance companies take advantage of the fact D.C. is a contributory negligence jurisdiction by claiming that the plaintiff is somehow even slightly responsible for causing an accident – even in cases where the defendant is 100% at fault. This means plaintiffs, and their attorneys, have no margin for error in personal injury cases. In a comparative negligence jurisdiction, when a jury finds a plaintiff five percent responsible for an accident, the consequences are minimal. The plaintiff receives 95 percent of his or her damages. However, in a contributory negligence jurisdiction, such as Washington, D.C., that finding of 5 percent responsibility means a plaintiff collects nothing. Hiring a qualified, experienced Washington DC personal injury lawyer is always a good idea in any legal proceeding. However, this is particularly true in contributory negligence jurisdictions when hiring a personal injury attorney. Hire an attorney familiar with the typical defense arguments in injury and wrongful death cases in contributory negligence jurisdictions. 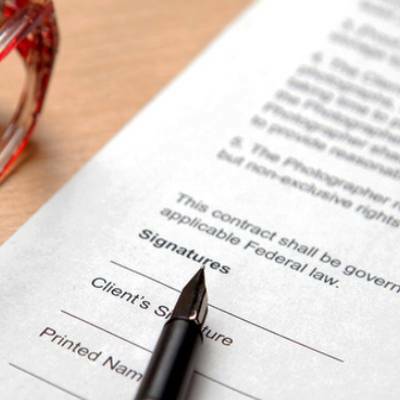 Your attorney must have a team of legal professionals to guide you through the legal process. The legal team assembles and evaluates police reports, accident reports, medical records, depositions and other documentation. Your attorney must know the case law and regulations surrounding contributory negligence defenses. A qualified attorney prepares to counter those claims. For a free consultations with an experienced Washington DC personal injury lawyer from the Law Office of Duane O. King call 202-331-1963 or contact us online.